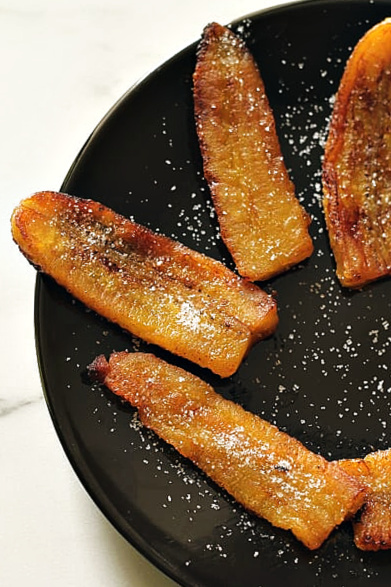 During my growing up years plantains were a regular feature on our dining table. My mother cooked raw plantains in a kind of a saute and served it alongside tomato saar and rice or we ate another variety which is called as ‘nendra baale’ or ‘nandarkai’ in its ripened form. 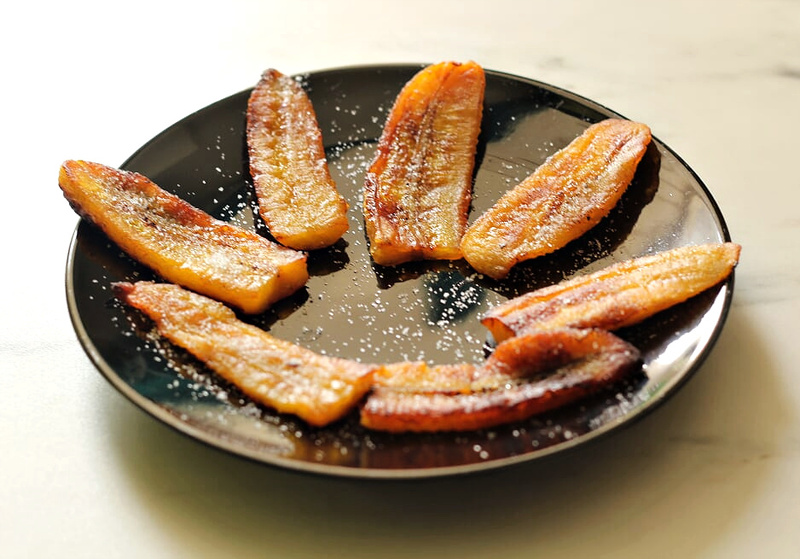 Plantains are more robust and have flesh that is more ‘mealy’ than bananas that have a softer texture and are sweeter. Plantains are also consumed in their raw form while bananas need to be eaten only when ripe. 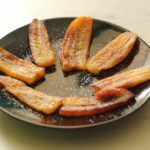 While overripe bananas made their way into Mangalore buns or banana pooris, overripe plantains that turned almost black on the outside were generally cut up and shallow fried in ghee and served with a generous sprinkling of sugar. They tasted like heaven! Especially when we got home from school completely famished. 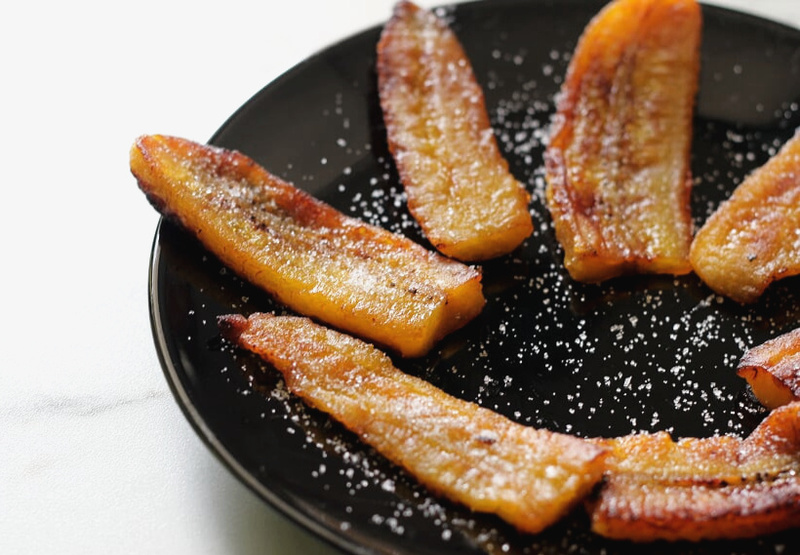 Over the years I forgot about this treat and never made it until plantains started to make their way into my life. I buy them occasionally and eat them alone as my kids don’t like the taste. One day as I was munching on one, I suddenly remembered the glorious taste of ghee roasted plantains which my mother used to make in the little tile roofed kitchen. I then decided to get my kids taste this version of plantains. My daughter liked them while my son didn’t fancy eating an over ripened cooked fruit. So here’s presenting something super simple and easy snack that needs basic/beginner’s cooking skills, one over ripe banana, some ghee and some sugar. Treats like these help create great memories!